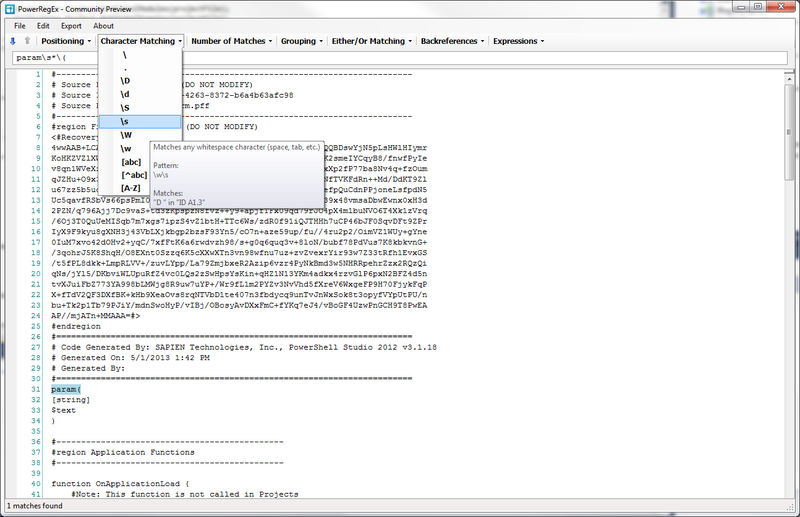 PowerRegEx is a regular expression building tool that provides help and real-time testing. Makes regular expression creation and discoverability easier, by grouping RegEx constructs by category. Provides descriptions and examples on how to use each regular expression construct. 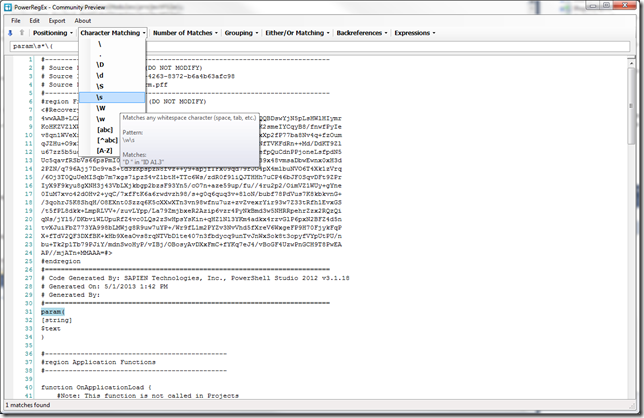 Includes sample regular expressions for Email, IP Address, and more. Ability to test regular expresses against an existing file or ad-hoc text. Export matches or non-matching lines. Export regular expressions for PowerShell use. If you have any suggestions such as a feature request or want to provide feedback, please post in our free tools forum. Community feedback is very important to us because it helps us improve and create tools that you need. Below is the download link for the time limited community preview, which expires on December 31, 2013. How would you change PrimalCSV?